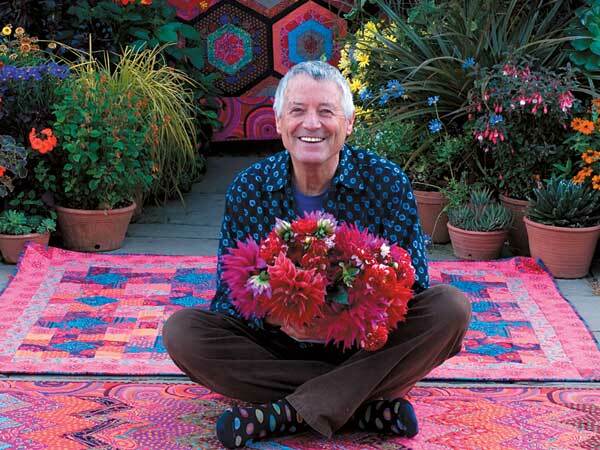 Yesterday, I had the pleasure of attending my first workshop with Kaffe Fassett and Brandon Mably. What a remarkable pair! 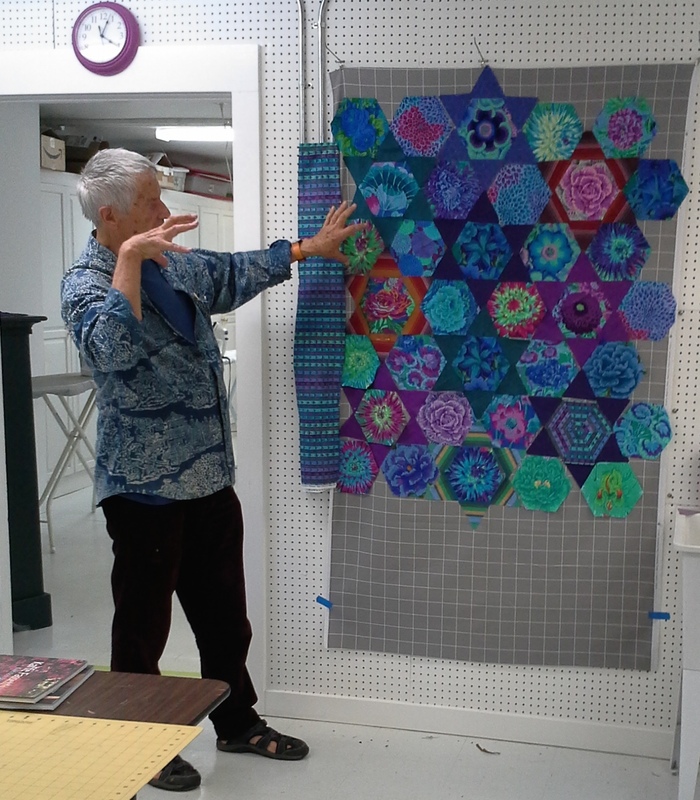 Intown Quilters (www.intownquilters.com) hosted 16 attendees and we all learned so much from this fabulous pair! 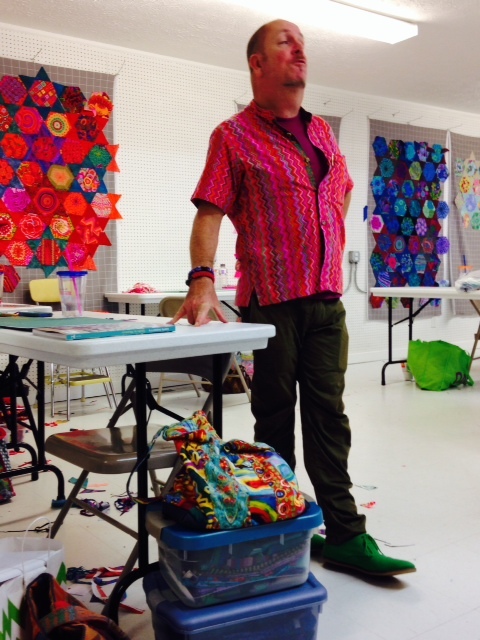 The famed duo delightfully discussed our color palettes with us at length, they helped us choose new fabrics or patterns if need be and they offered an encouraging word as they walked around the room. 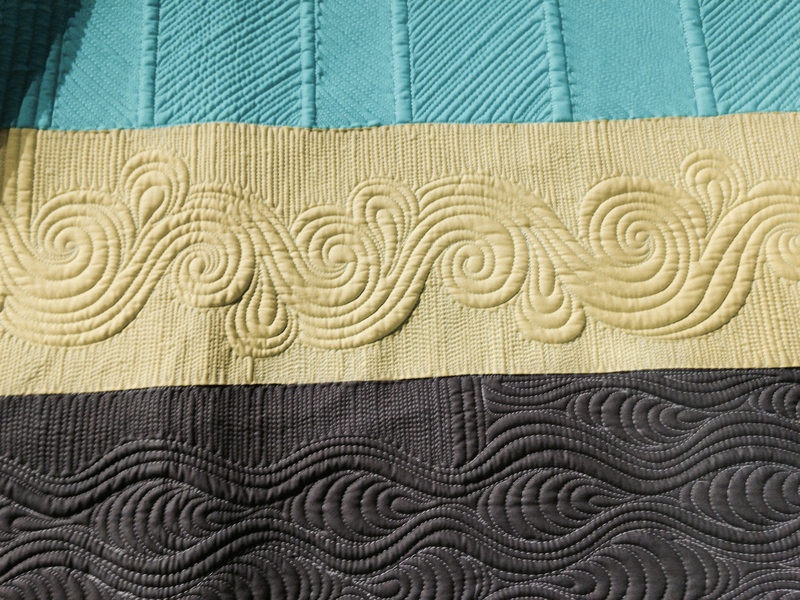 At the end of the day, they offered critiques of each design and we heard some fun new comments: “Let the colors sing”; “These patterns are a bit cheeky together”; If you pair these two fabrics together, I believe it will be more juicy.” Thank you Intown Quilters for hosting such an amazing experience! 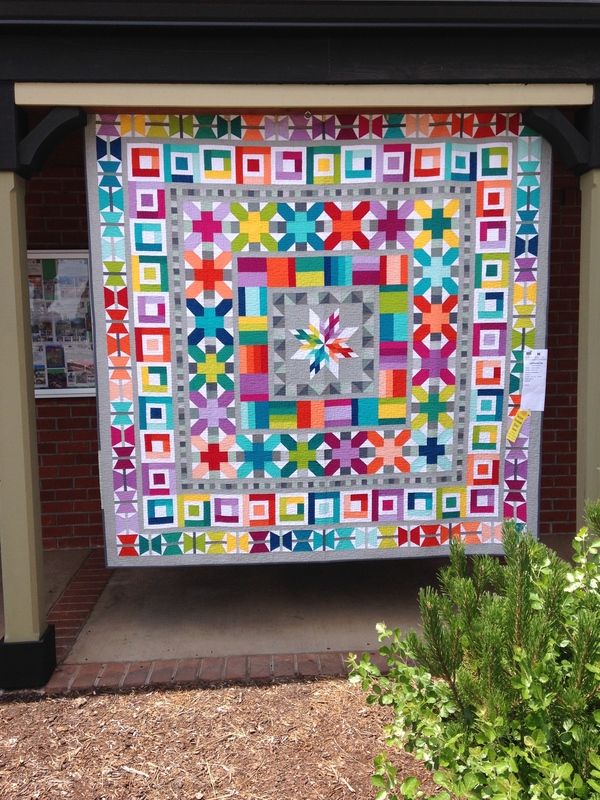 This summer I had the amazing opportunity to go to Sisters, Oregon for the largest outdoor quilt show in the world! 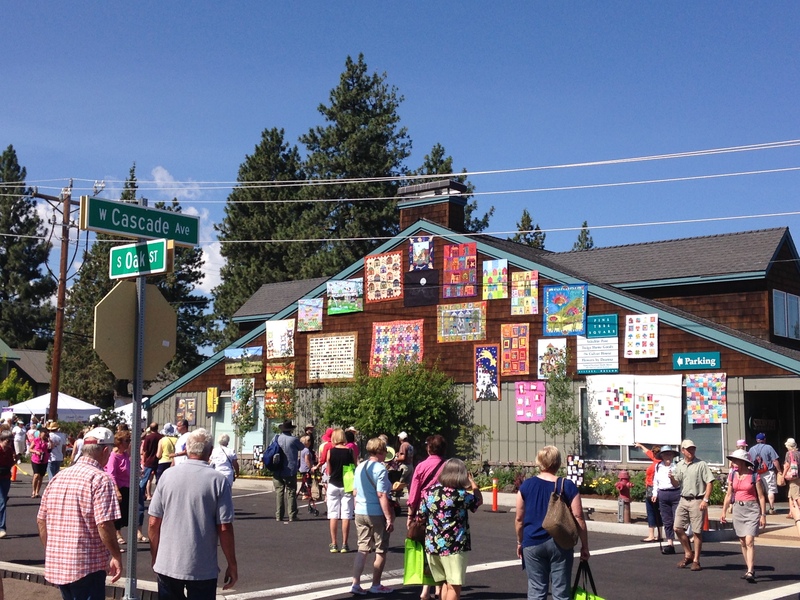 Thousands of people and thousands of quilts came together on a beautiful Saturday in July. It’s a very inspiring show! 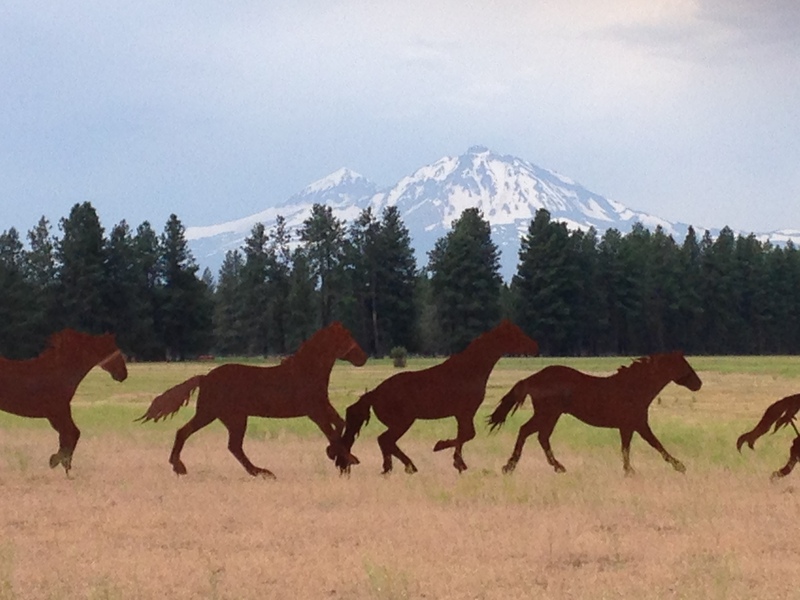 I traveled with my good friend, Jan. We stayed in lovely Bend, Oregon and traveled every day to Sisters. We had a blast! 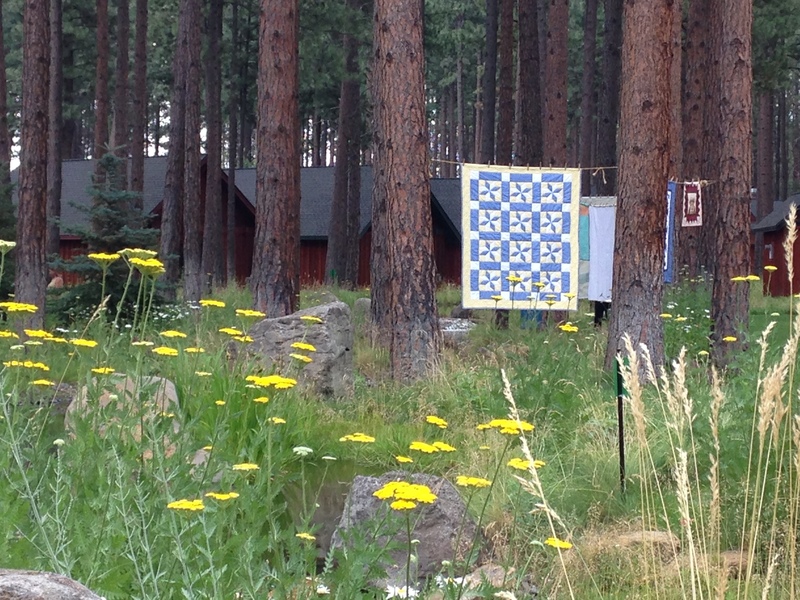 Next year is the 50th Anniversary of the show – make your plans now! 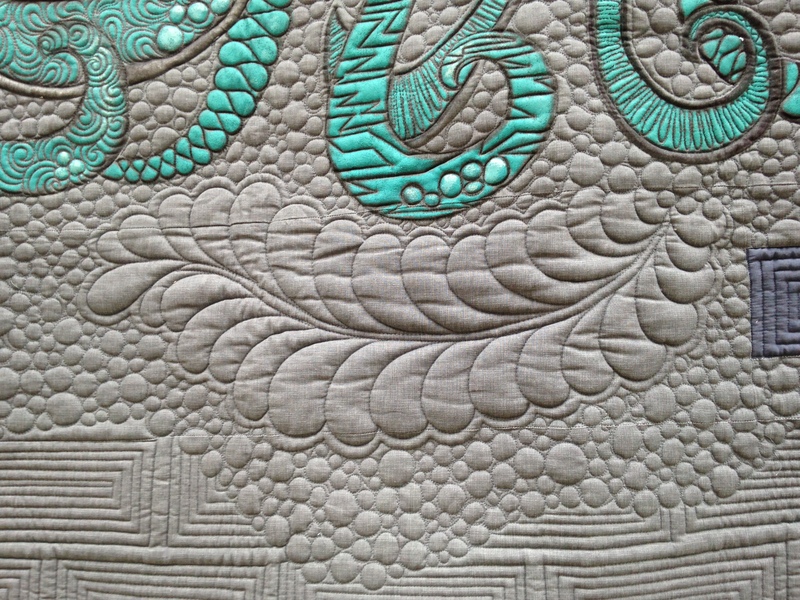 We attended the Angela Walters seminar and watched her demonstrate her quilting genius! 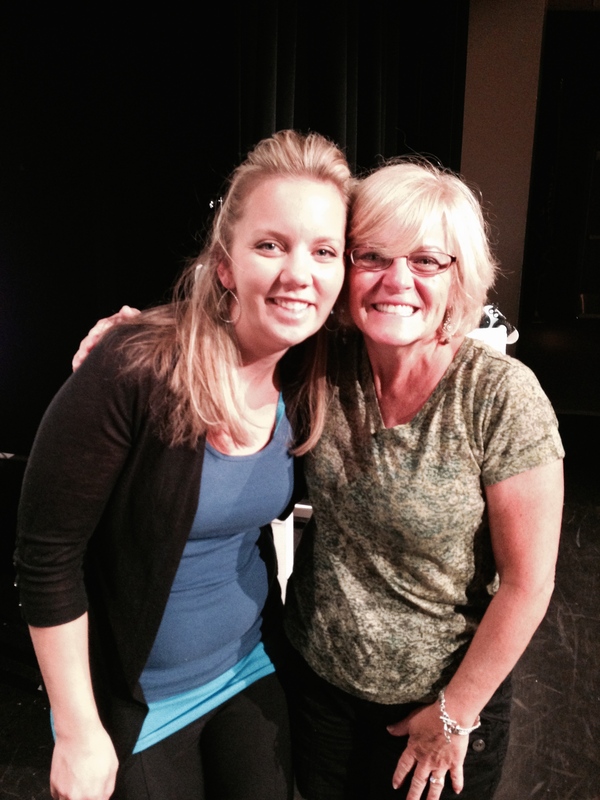 I appreciate her willingness to share her knowledge with others. She is a dynamo!